The accelerometer is a surface micro machined integrated circuit accelerometer. 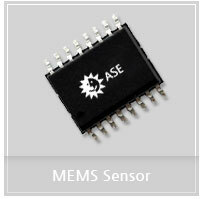 The device consists of a surface micro machined capacitive sensing cell (g-cell) and a CMOS signal conditioning SIC contained in a single integrated circuit package. The sensing element is sealed hermetically at the wafer level using a bulk micro machined "cap'' wafer.